In this week's issue of our environment newsletter, we look at what Canadians are saying about government's role in fighting climate change - and we take another spin on road salt. What do households produce in terms of carbon emissions? The federal election is still months away, but Conservative Leader Andrew Scheer has signalled his intent to make the government's carbon pricing plan a campaign issue. 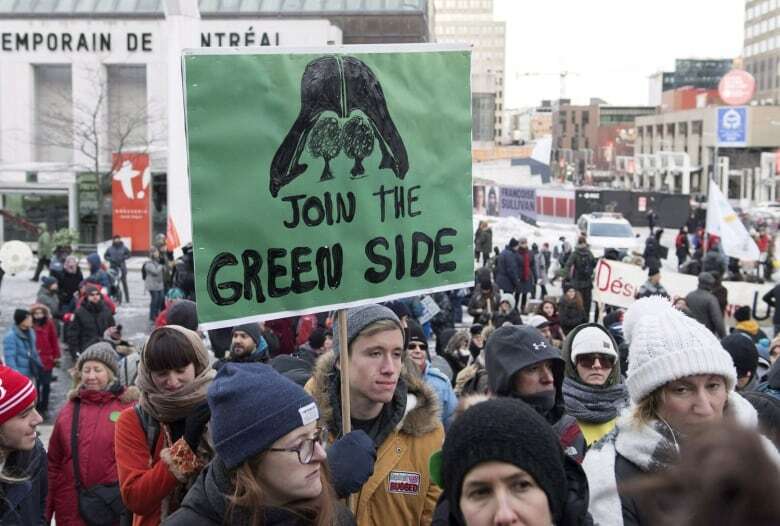 "There is a large silent majority with pent-up demand for government action on climate change," said Bill Ratcliffe, a 30-year marketing veteran and member of the Citizen's Climate Lobby Canada. Ratcliffe, who teaches green marketing at the University of Waterloo, also pointed to a little-known 2018 report done by Ikea (yes, the Swedish furniture retailer) and Toronto-based consultancy GlobeScan. The international study included in-person focus groups and online surveys and found almost 90 per cent of people said they are "willing to change their behaviour to help fight climate change" — but that the biggest hurdle was government action. The Ikea/GlobeScan study said those longing for more government action fall into three categories: "Optimists," "Supporters" and the "Disempowered." Ratcliffe has worked in the public and private sectors, including an anti-smoking campaign with Health Canada in the 1990s. He said that for many people, the issue of climate change feels abstract or insurmountable. Being a marketer, he said "scientists and activist organizations have not done a good job of creating a positive image of the future that appeals to human aspirations." But he also said that when citizens do articulate their concerns, political leaders can't help but act. One example he cited was a recent climbdown by Ontario Premier Doug Ford, who dropped a section of a bill that would have compromised environmental protections in the province's Greenbelt after politicians and residents in the affected communities raised concerns. "The government doesn't act unless they feel the hot breath of the will of the people," said Ratcliffe. Andrea Kay's story last week on the sustainability of avocados was definitely a conversation-starter. Many of you rightly pointed out that while growing avocados is pretty resource-intensive, it's quite minimal compared to the production of beef, for example. The article wasn't intended to inflate the harms of growing fruits and veggies or downplay the harms of meat production -- it was simply meant to raise awareness. As always, we appreciate your feedback and encourage you to keep it coming. A couple of weeks ago, we published a note from a reader, "a longtime renter of different apartments in Toronto," who wondered why the temperature in many residential buildings is so high that she had to keep windows open, even in winter. "Would it not be more efficient to put in a system that allows each renter to change temperature to a lower level, hence creating a lower expenditure on heating?" Based on your email responses, this sounds like a common problem, something that's been confirmed by The Atmospheric Fund, a Toronto-based non-profit that has collected data on this phenomenon. TAF studied seven Toronto Community Housing high-rise buildings and found that the average winter temperature was 27 C.The study covered 1,300 apartment units, and Bryan Purcell, TAF's director of policy and programs, said about half the residents were opening their windows every day in winter. Many older buildings have only one temperature control for the whole building, so the temperature varies in different parts. Building managers tend to keep it quite warm because laws require a minimum temperature in all suites — and residents who are too cold tend to complain more. As it turns out, it can be more efficient to put in a system that allows each renter to change the temperature to a lower level. TAF did just that in its study. It involved adding a valve to the radiator in each unit, wiring it up to a thermostat and upgrading the building's hot water pumps to deal with the resulting variations in water pressure. In four buildings, the controls were internet-connected smart thermostats. Combined with improvements to ventilation, the upgrades led to about a 40 per cent drop in daily window-opening in winter. 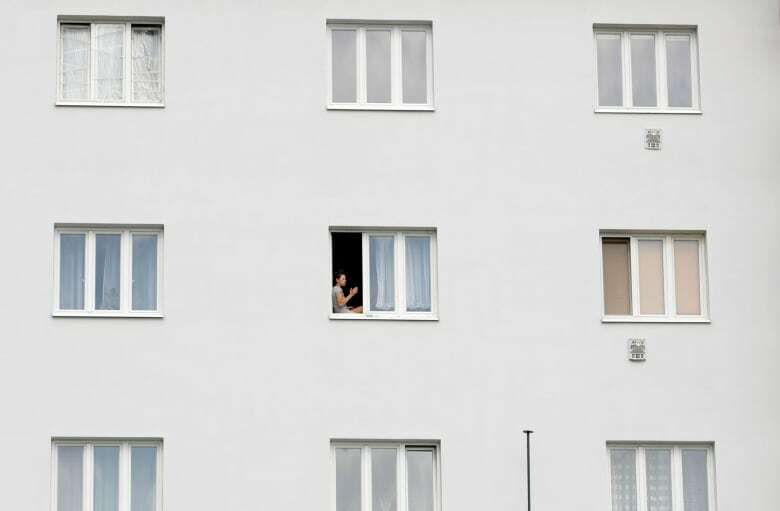 (TAF noted that some residents still opened windows to smoke or for cultural reasons.) More importantly, the retrofit led to a 22 per cent reduction in heating costs. In the four buildings where TAF installed smart thermostats, heating costs went down 27.5 per cent. The price tag for the retrofit was about $5,000 per unit, but TAF estimates the savings will cover the cost in 10 years. In the meantime, residents get to enjoy healthier, more comfortable living spaces. 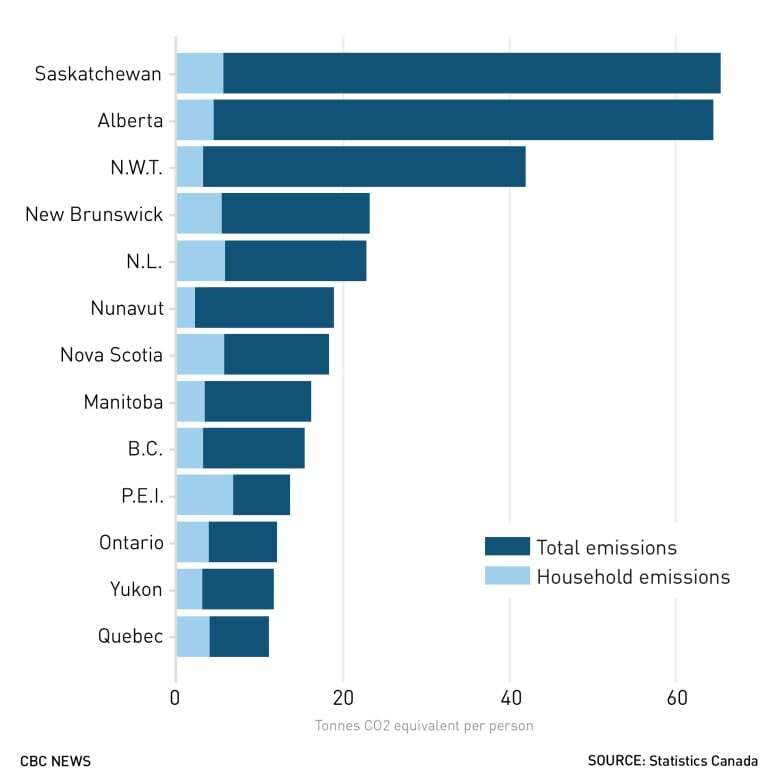 Statistics Canada recently released 2016 figures on carbon emissions, and the results show that household emissions — created by things like the fuel you use to heat your home and the gasoline you put in your car — account for only a fraction of each province's overall emissions. Most of the greenhouse gases are produced by industry, such as oil and gas extraction in Saskatchewan and Alberta. Electric power generation also has a huge effect on GHG emissions; Ontario's overall emissions were down two-thirds since 2009, as a result of the retirement of coal plants in the last decade. On Thursday, the Supreme Court of Canada ruled that oil and gas companies have to clean up old wells, even if they're bankrupt. The ruling is significant because it overturned two lower-court decisions, insisting that dire financial straits are no excuse for shirking environmental responsibility. Last week, we highlighted the fact that a number of major manufacturers, including PepsiCo and Procter & Gamble, were making a concerted effort to reduce their plastic packaging. A story in Fast Company explains how their zero-plastic system will work — and how it could change the way we purchase grocery items like shampoo, ice cream and diapers. On the theme of corporate responsibility, investors in some of the biggest fast-food producers on the planet — including McDonald's, KFC and Burger King — are urging these companies to force their meat and dairy suppliers to commit to a low-carbon plan. As we know, the agricultural sector is one of the biggest contributors to global emissions. This move sends a strong message about the desire to reduce the carbon footprint of a Big Mac (or a Whopper, if you prefer). A study by the Harvard Business Review found that people are more apt to reduce their energy consumption if they think their neighbours are doing so. What do you call that: passive peer pressure? Judging by the volume of email we have received about road salt, the conversation about how to responsibly clear our sidewalks and streets is far from over. At the end of our item last week, we asked for more green alternatives to road salt — and you obliged. Many of you pointed out that a number of municipalities, including Calgary, Winnipeg and Toronto, have been using some form of beet juice. Although as one reader noted, this de-icing method leaves a "bloody looking mess." Another reader shared this natural option: "It probably is not a solution for roads, but on the sidewalks around and in front of my yard I use the shredded branches from my pruning. "The nice thing is that the wood seems to disappear into the lawn and boulevard or into birds' nests each spring. It has not impacted my lawn after a decade or more, and excess chips are used as mulch in my shrub beds." 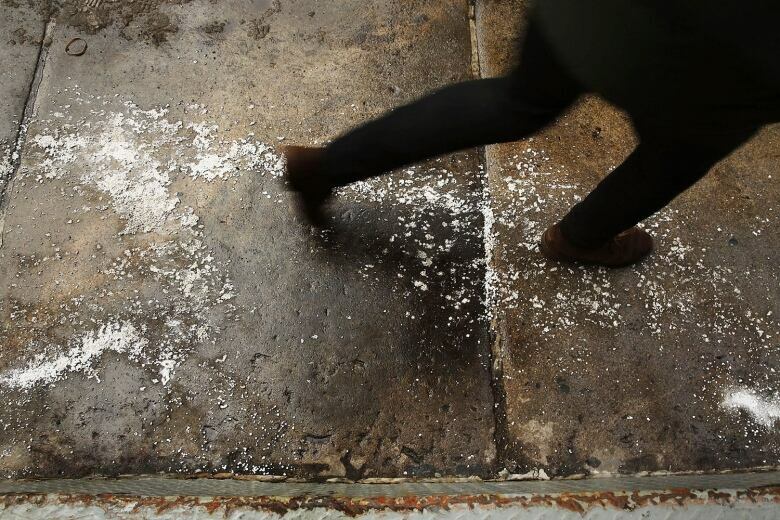 One emailer had a different green suggestion: "l have a good alternative for salt on sidewalks that l discovered with my chicken … use crushed oyster shells that you buy at the animal feed store. It is super gritty, and doesn't melt. ln the spring you can sweep it up." Another reader hailed Iceland, which uses its abundant geothermal energy to melt snow in public spaces. The country has devised a system in which sidewalks, parking lots and roads are heated from below. The country's National Energy Authority says "snow melting with geothermal water has increased during the last two decades" and that a system in downtown Reykjavik covers an area of about 50,000 square metres. In terms of cleverness and sophistication, that solution is hard to beat. Your suggestions matter to us.